My handmade colorful statement jewelry line is created with brand new T-Shirt Yarn. It is lightweight, easy to style and care, every piece will sure to be a show stopper. 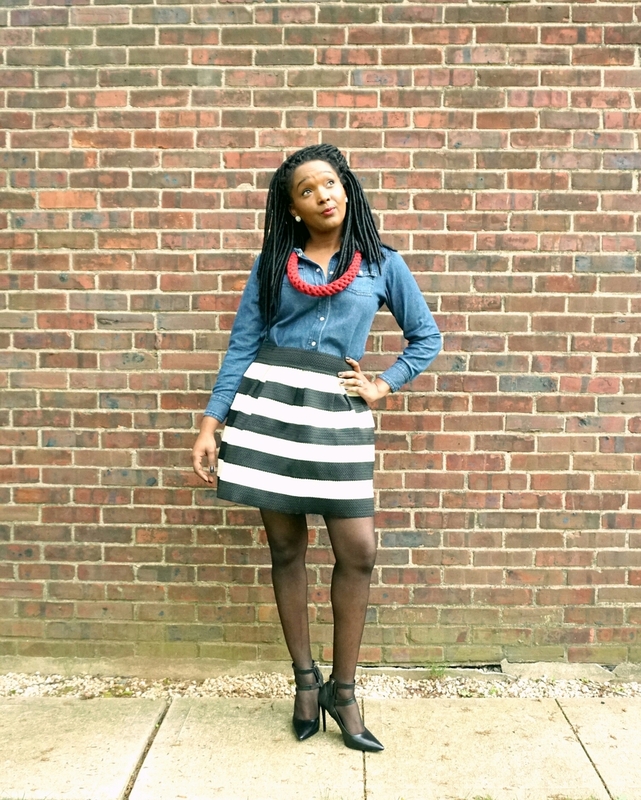 I styled my outfit with the red Ode Necklace. The perfect accessory.